We were heartbroken when Jamie Kennedy passed away in January. Jamie was an original camper, a former leadership participant, a long-time staff member, and active member of our Friends Of Wenonah alumni group. Jamie’s life touched many of us. Over the years, Jamie’s love of Camp and his connection to so many grew exponentially. He was a constant presence at Wenonah and he endeared himself to multiple generations at Camp. Jamie was happiest on the water. 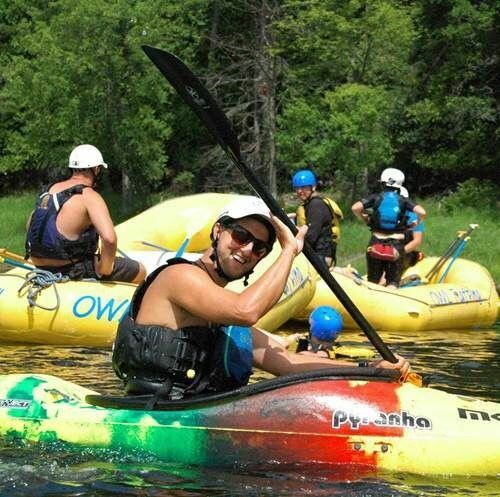 In his memory, the Jamie Kennedy Scholarship Fund was created to fully sponsor several staff members each year to attend provincial canoeing, kayaking, and whitewater kayaking training. Jamie was heavily engaged in the creation of the Fund. The ripples of his life now extend to countless staff members in the years and decades ahead and, in turn, they will impact hundreds and hundreds of children. Join us in remembering Jamie and learn more about the Jamie Kennedy Scholarship Fund.